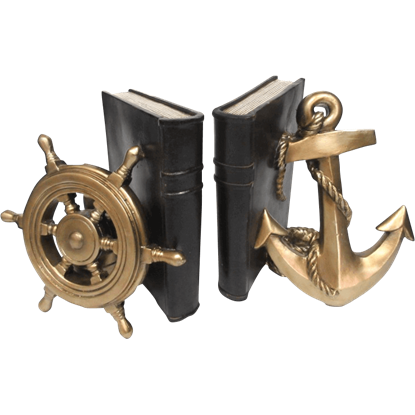 The best elements of home decor combine excellent functionality with a stunning design. 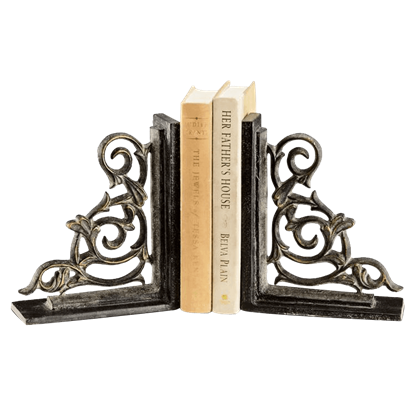 The Classic Scroll Bookends find the perfect middle ground with their classic style and useful service in propping up books. 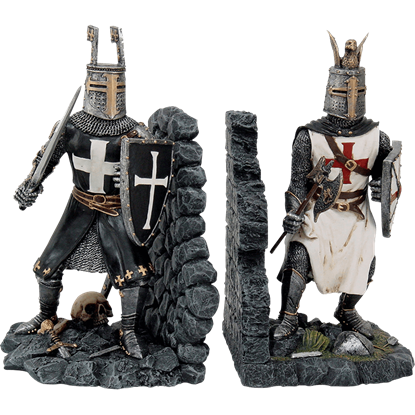 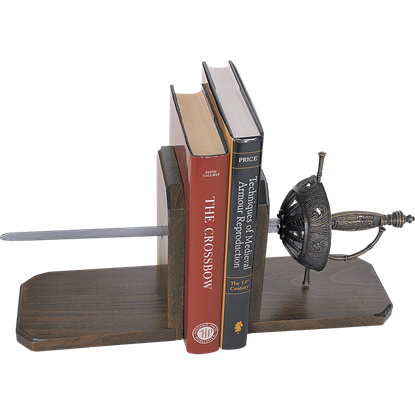 A splendid addition to your office or home, the Cup Hilted Rapier Bookends is an extraordinary decoration that emanates an aura of sophisticated Spanish history while functionally supporting your favorite texts. 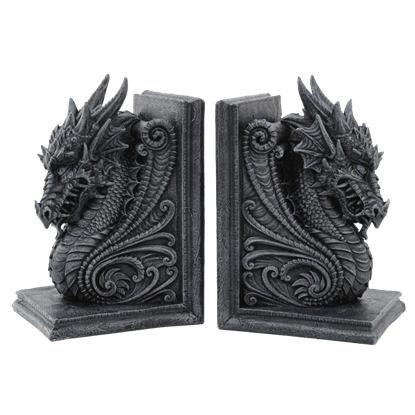 Drawing inspiration from the grand gothic cathedrals of the Renaissance, the Dragon Bookend Set are a pair of magnificent decorations that feature detailed dragon heads rendered in a stone gray form that is fit for architecture. 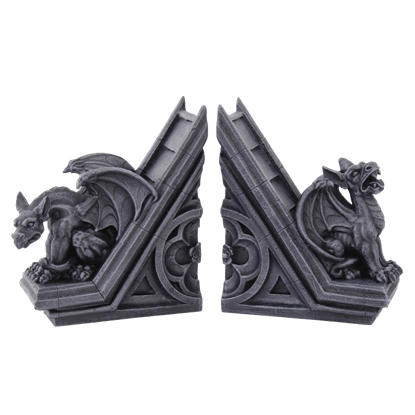 Display your book collection in eye-catching medieval style with these Dragon Guardian Bookends! 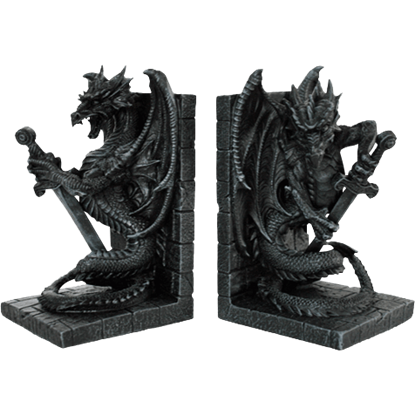 Each depicting a dragon with a sword, these bookends are a fun and unique way to add the look of dragons to your home or office decor. 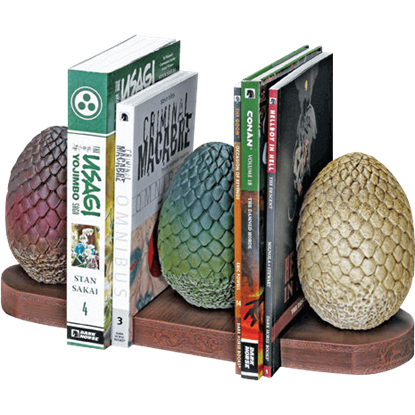 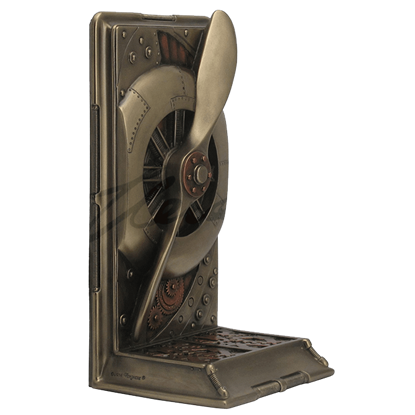 Show off your favorite books in style with the striking look of this bookshelf decoration! 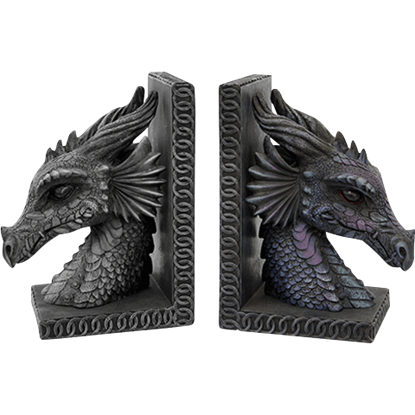 The Dragon Head Bookends display the detailed head of a fierce dragon propped up on a perpendicular stand with a braid pattern on the side. 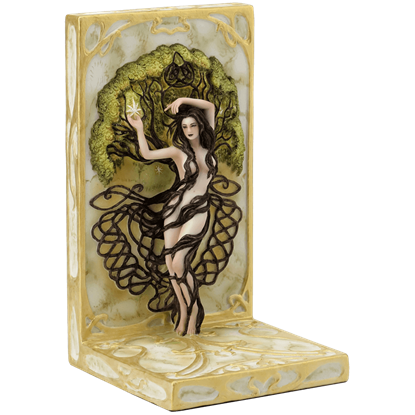 A woman is entwined by Celtic knots that seem to be of her own hair, whilst representing the branches and roots of a tree. 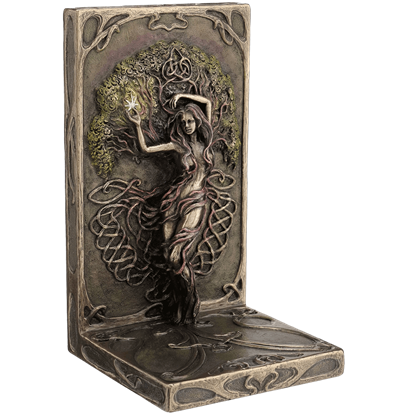 The Earth Life Magic Bookend by Selina Fenech is based on her imaginative watercolor painting of the same name.